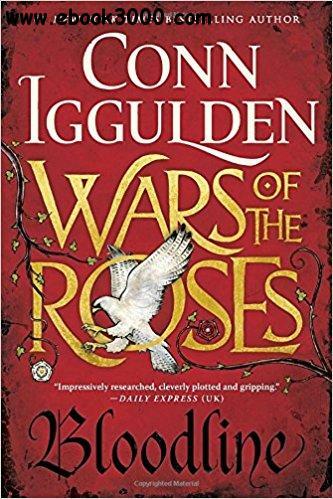 The brilliant retelling of the Wars of the Roses continues with Bloodline, the gripping third novel in the new series from historical fiction master Conn Iggulden. Winter 1461: Richard, duke of York, is dead-his ambitions in ruins, his head spiked on the walls of the city. King Henry VI is still held prisoner. His Lancastrian queen, Margaret of Anjou, rides south with an army of victorious northerners, accompanied by painted warriors from the Scottish Highlands. With the death of York, Margaret and her army seem unstoppable. Two men can always claim a crown-but only one can keep it. Following Margaret of Anjou, Bloodline is the third epic installment in master storyteller Conn Iggulden's new Wars of the Roses series. Fans of the Game of Thrones and the Tudors series will be gripped from the word "go." Gary Hardwick, "Supreme Justice: A Novel Of Suspense"